With students back on campus and classes under way, the nine schools that make up Emory University have big plans for the new semester. The nine schools that make up Emory University head into the new semester with innovative initiatives, achievements to celebrate and a full slate of engaging speakers and events. Here is a roundup of what's new and noteworthy, as listed by each school. Faculty: At spring convocation on Tuesday, Jan. 15, Brent A. Strawn was installed as the William Ragsdale Cannon Distinguished Professor of Old Testament. Since its establishment in 1997, the William Ragsdale Cannon Distinguished Professorship has been held by church leaders and scholars Archbishop Desmond Tutu, the Rev. Dr. Don E. Saliers, and the Rev. Dr. Russell E. Richey. Events: On Thursday, Jan. 31, Candler’s Catholic Studies program and Aquinas Center of Theology will welcome Nichole M. Flores, assistant professor of religious studies at the University of Virginia, as the annual Aquinas Day speaker. Flores will preach in Cannon Chapel at 11:05 a.m. and give an evening lecture, “To Lift Up the Lowly: An Aesthetic of the Common Good.” See more information. Sister Elizabeth A. Johnson, professor emerita at Fordham University, will present the lecture “Is God’s Charity Broad Enough for Bears?” on Wednesday, March 27. Johnson is the author of numerous books and articles, including “She Who Is: The Mystery of God in Feminist Theological Discourse.” See more information. On Wednesday, April 3 at 11 a.m., Pitts Theology Library will host a screening of the documentary “Backs Against the Wall: The Howard Thurman Story.” The film features Candler faculty members Luther E. Smith Jr., professor emeritus of church and community, and Gregory C. Ellison II, associate professor of pastoral care and counseling. A panel discussion will follow the film. Teresa Morgan, professor of Graeco-Roman history at Oxford University and McDonald Visiting Distinguished Scholar at Candler, will present a lecture on Wednesday, April 24. Emory Edge: A new pilot course this spring seeks to encourage undergraduate students to gain a deeper understanding of how knowledge from a liberal arts education provides the foundation for the skills they will take to the global workplace and into their lives beyond college. “ECS 102: The Liberal Arts Edge” is part of Emory Edge, a comprehensive undergraduate initiative designed to support students on their path from first-year students to successful, engaged alumni. Class of 2023: Another record number of applicants for the first round of Early Decision admissions sought a spot in the incoming first-year class to Emory College. In December, 559 students were offered admission to the College, including a record 32 outstanding scholars from the QuestBridge National College Match program which matches 1,044 low-income students with colleges. The overall applications for Early Decision II and regular decision, which were due Jan. 1, are also expected to exceed last year’s record number of applications. Online course evaluation: Emory College, in coordination with LITS, EmoryUP and the Office of the Registrar, launched a new process this past fall utilizing EvaluationKIT, a cloud-based application accessed via Canvas. The overall student response rate was over 78 percent, surpassing the goal to reach 70 percent. The College will continue to finetune the system this spring. New faculty: Atlanta native and best-selling author Tayari Jones officially joins Emory’s Creative Writing Program this semester as a professor of English and Creative Writing. Student event: The 2019 Undergraduate Business School Leadership Conference is set to take place Feb. 14-16 at Emory University. The UBSLC is a student-run international conference held annually at Goizueta Business School, with over 60 students from around the world. The UBSLC provides a forum for top undergraduate business students to meet with leading business executives, cultivate meaningful connections and unify under a common theme designed to help them become more effective leaders and professionals. This year’s conference will feature a keynote address from Victor Luis, chief executive officer of Coach, Inc. From his perspective in prioritizing quality over mass-market quantity to the acquisition of Kate Spade, Luis’s insight will enhance the theme and shed light on how to stay innovative within today’s fast-paced and increasingly competitive business environment. Healthcare 2040: What will the U.S. health care landscape look like in 2040? With the dizzying array of trends and disruptions re-shaping the industry, it is impossible to know with certainty how the U.S. health care market will evolve. The Healthcare 2040 competition offers an opportunity for students to focus specifically on the long-term outcomes of these transformational forces and to predict their cumulative effect. In teams of two to five individuals, participants will attend optional workshops on scenario development and create a set of materials to submit to a panel of judges. The panel, comprised of thinkers and practitioners from the health care field, will select five to 10 teams to formally present their health care ideas for the future during a half-day event Friday, Feb. 1. Three winning teams will be chosen from the finalist pool. Celebrating 100 years: This year, the Laney Graduate School celebrates 100 years of graduate studies. Carrying the theme “It Starts with One,” the celebration reflects on the defining moments and milestones that shaped the trajectory of the school’s success. Throughout the year, LGS will be joined by alumni and friends in a series of events around the globe focused on building upon the next 100 years of graduate education at Emory. Bobby Jones Legacy Golf Tournament: Slated for March 17, the Bobby Jones Legacy Golf Tournament is a fundraiser honoring the legacy of legendary golfer Bobby Jones, who remains known as the most successful amateur golfer in the history of the sport, in particular for taking the Grand Slam title in 1930 after winning the four major championships of his time in a single calendar year. Jones entered Emory University School of Law in 1926 and passed the bar exam after just a few semesters. Tournament proceeds benefit the Bobby Jones Program at Emory, which includes an exchange program for scholars and fellows, an ethics program that prepares graduate students for responsible leadership, and fellowships in biomedical engineering that advance the future of health care. Student honors: Nell Hodgson Woodruff School of Nursing graduates continue to excel on the national licensure exam. The 2018 year-to-date (as of Aug. 29, 2018) NCLEX pass rate for Emory Nursing students is 99.34 percent. Faculty honors: The March of Dimes of Georgia honored several Emory nurses with Nurse of the Year Awards, including Mary D. Still, MSN, APRN ACNS, CCRN at Emory University Hospital; Linda S. Brown, BSN-BC, RN at Emory University Hospital Midtown; Alethea Watts, MBA, BSN, RN at the Emory Clinic; Rebecca Heitkam, MACS, BSN, RN, CCRN, RN-BC and Carmen Reed, MSN, RN, CNL at Emory Saint Joseph’s Hospital; Nicole Carlson, PhD, CNM and Alexis Dunn, PhD, CNM at the Nell Hodgson Woodruff School of Nursing. Cool courses: The Nell Hodgson Woodruff School of Nursing and Emory Healthcare are now offering a 15-month InEmory ABSN program option for second-degree students, which began this month, January 2019. The School offers a 12-month Distance Accelerated BSN (D-ABSN) degree option for second-degree students living outside of the Atlanta area and across the U.S. Through the program, students have the opportunity to study and gain clinical experience in the communities where they live. Leadership: Emory University President Claire E. Sterk has announced the appointment of Deborah Watkins Bruner, RN, PhD, FAAN, as the university’s senior vice president for research, effective Oct. 1, 2018. Transforming global health: During winter break, dozens of Emory nursing students traveled to Jamaica to provide care to underserved communities in those regions. You can read about their experiences at emorynursingnow.com. New student center: A new student center for Oxford is under construction and set to open in early spring semester 2020. The 32,000-square-foot facility is being built on the site of Oxford's former dining hall; the basic structure of the old building is being repurposed, joining with new construction that will give Oxford a flexible building that will meet a broad spectrum of needs for students. New leadership and internship opportunities: This spring Oxford will implement two innovative student programs. The first participants in the Tarbutton Leadership Fellows Program will be chosen, based on their academic achievement and participation in campus life. Endowed by Oxford alumnus Hugh Tarbutton Jr. 84Ox in memory of his father Hugh Tarbutton Sr. 52Ox 55B, the program will provide Tarbutton Fellows with an array of leadership opportunities and help them hone their skills toward a lifetime of leadership and service. The first selection will also take place for the Purcell Internship Program. Endowed anonymously in honor of alumnus Neal Purcell 61Ox 63B, the program will sponsor a student in an internship with a non-profit organization, offering both academic challenge and hands-on experience. Research: Rollins has established a Southeast Mental Health Technology Transfer Center. The 21st Century Cures Act, passed by Congress in 2016, established a national network of 10 regional technical assistance and training centers to promote uptake of evidence-based practices for people with serious mental illnesses. The Rollins center will be the only one of these to be based in a school of public health. Faculty: Hannah Cooper, professor and vice chair of the Department of Behavioral Sciences and Health Education, has been named the first Rollins Chair in Substance Use Disorders. Dean James W. Curran received a lifetime achievement award for his work in HIV/AIDS from the Fulton County Board of Health. Lisa M. Carlson 93MPH, an affiliated instructor of the Executive MPH program, was named president-elect of the American Public Health Association. School honors: Emory Law has been recognized by the Council on Legal Education Opportunity (CLEO) with a 2018 CLEO Edge Founders' Award in honor of CLEO’s 50th anniversary for having significant impact on diversifying the legal profession. Emory Law and Professor Emeritus Nathaniel Gozansky received awards. David Adelman 89L and Richard Hubert 60L, the two alumni chosen as this year’s Emory Medalists, share both a global worldview and a JD from Emory Law. Student honors: Emory Law’s chapter of the International Refugee Assistance Project (IRAP) has received the IRAP Best Chapter Award for 2018 from among 31 student chapters in the US, Canada and UK. Faculty honors: Robert W. Woodruff Professor of Law, McDonald Distinguished Professor of Religion, and director of Emory’s Center for the Study of Law John Witte Jr. has been invited as a Gifford Lecturer for 2020. Dorothy Brown has been selected to receive the Vulcan Teaching Excellence Award, given through the Georgia Independent College Association (GICA). The award recognizes outstanding faculty members who demonstrate strong academic skills in the classroom and provide leadership and support in the other areas of campus life. The American Law Institute has elected 31 new members, including, as the only elected person from Georgia, is L. Q. C. Lamar Professor of Law Barbara Bennett Woodhouse, who is one of the nation’s foremost experts on children’s rights. Upcoming events: On Friday, Jan. 18, the Turner Environmental Law Clinic will celebrate its 20th anniversary with a conference, “The Future of Environmental Law: Where the Next Twenty Years Will Lead Us.” Robert M. Franklin Jr., James T. and Berta R. Laney Professor in Moral Leadership, will deliver a talk, “Revisiting Dr. King’s Theory of Love, Power, and Justice” on Thursday, Jan. 24 at 6 p.m. Former U.S. Deputy Attorney General Sally Yates will serve on a panel discussion as a part of the 2019 Randolph W. Thrower Symposium, “Exploring Gun Violence in Modern America: Law, Policy, and Social Movements,” scheduled for Thursday, Feb. 7. On Tuesday, Feb. 19, at 2 p.m., Emory Law will co-host a panel discussion with the Thurgood Marshall Institute of the NAACP Legal Defense Fund, “The Future of the 14th Amendment: Safeguarding its Legacy & Expanding its Reach.” RSVP here. Leadership: Scott D. Boden was appointed chair of Orthopaedics for Emory School of Medicine (SOM) and Chief of Orthopaedics and the Musculoskeletal Service Line for Emory Healthcare. Boden has served as interim chair since February, and follows James Roberson, who held the chair until 2017. Andrew J. Patterson was appointed chair of the Department of Anesthesiology, effective Jan. 1, 2019. Patterson currently serves as the Larson Professor and executive vice chair of anesthesiology at the University of Nebraska Medical Center. Douglas Ander (emergency medicine) has been appointed Director of Interprofessional Education (IPE) for the School of Medicine. Erica Brownfield (internal medicine) was promoted to Associate Dean of Medical Education. Sharon Muret-Wagstaff (surgery) was appointed Director of the SOM Experiential Learning Center. Muret-Wagstaff is associate professor and director of high-fidelity simulation for the Thalia and Michael Carlos and Alfred A. Davis Center for Surgical Anatomy and Technique (CSAT). 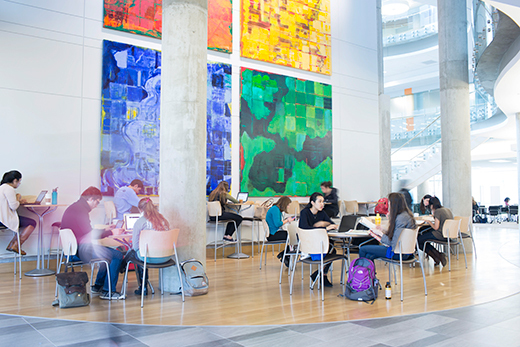 Initiatives: The SOM launched the Dean’s Imagine, Innovate, and Impact (I3) awards to encourage connections between disciplines and accelerate the pace of discovery. Grants were awarded for transformational research ideas (I3 WOW Research awards) and novel ideas in medical education (I3 Education awards). In the first round, faculty submitted 78 proposals and the SOM awarded a total of $595,000. Emory welcomed a first-year medical student class that is the most diverse in our history, with nearly a third of the class comprised of under-represented minorities. Over the past two years, through the efforts of the SOM’s Executive Committee on Organizational Equity and Inclusion and dedicated champions across the SOM, significant steps have been taken toward a diverse, equitable and inclusive environment. Executive search firm Isaacson, Miller is leading the recruitment effort in a national search for a Diversity and Inclusion Officer. To help promote affordable new treatments, the Woodruff Health Sciences Center is establishing a Center for Affordable Medical Innovation. The Center will focus initially on drugs already approved by the Food and Drug Administration that could be repurposed for cancer use. The Center will leverage and expand the model created by GlobalCures, Inc., a not-for-profit medical research organization co-founded by SOM Dean Vikas Sukhatme, that aims to promote clinical research on scientifically promising, readily available, and cost-effective treatments for cancer and other diseases. In the future, the focus will expand beyond cancer and into diagnostics, devices and health care delivery systems—all with an emphasis on affordability. Rafi Ahmed (microbiology and immunology) was named by the National Academy of Inventors (NAI) as an NAI 2018 Fellow. Ahmed is a world-renowned virologist and immunologist whose work has been highly influential in shaping current understanding of immune memory, with the long-term goal of developing new vaccines and other strategies for prevention and treatment of disease.